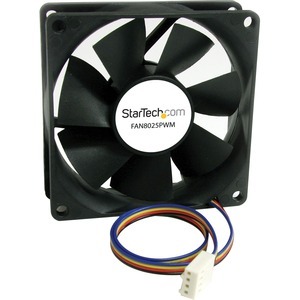 Add a variable speed, PWM-controlled cooling fan to a computer case. 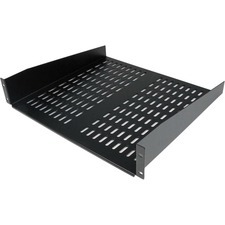 The FAN8025PWM 80mm PWM case fan adds an efficient air cooling solution to computer cases or other enclosures, to keep components running optimally. With Pulse Width Modulation (PWM) technology, the fan speed can be dynamically controlled by the motherboard, so the fan runs at a speed that suits the operating conditions, lowering power consumption and fan noise when the system is idle, and delivering maximum cooling under full load conditions.